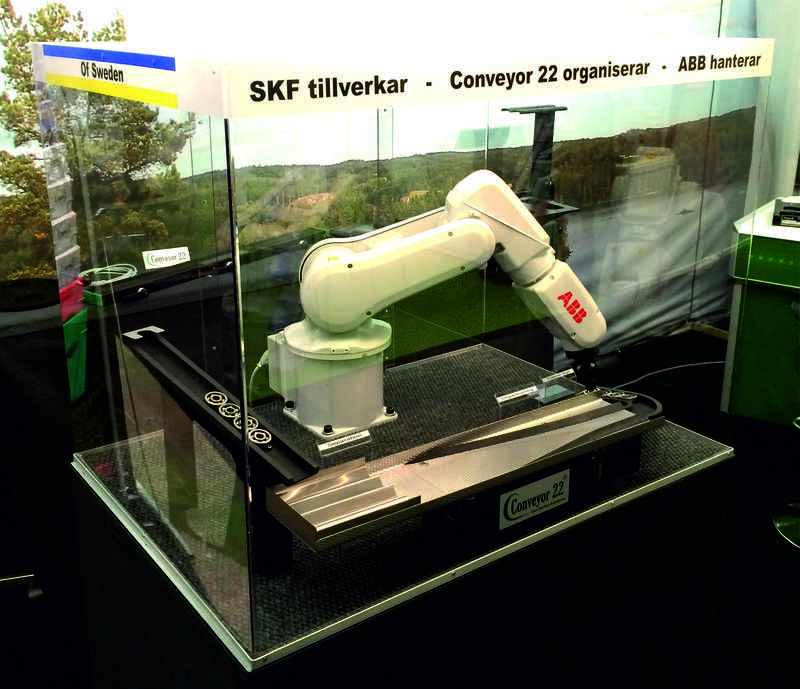 Conveyor 22 electric conveyors now provide the solutions! 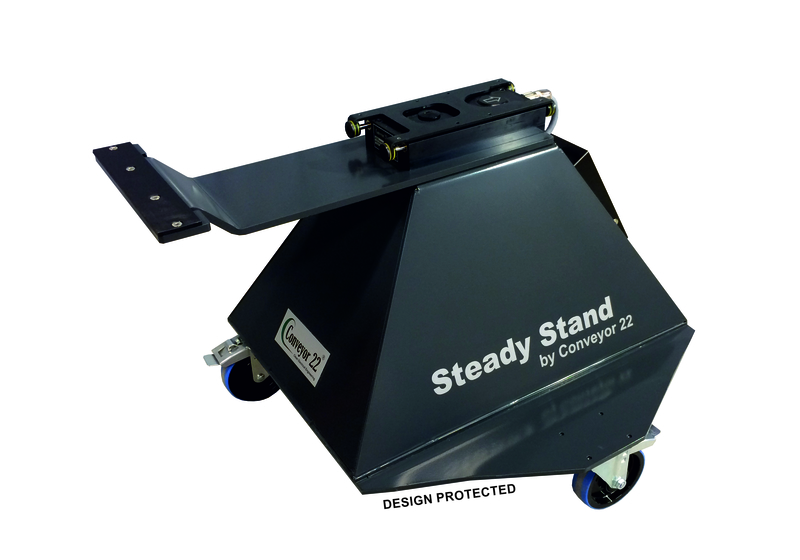 The Conveyor 22 transporter is the cleanest, most maintenance free and most cost-efficient conveyor on the market. Today we are serving in a wide variety of industries: metal (stamping & metal forming presses, CNC manufacturing machines, laser…), mining, automotive, plastic, robotic, vision, recycle, food and pharmaceutical. 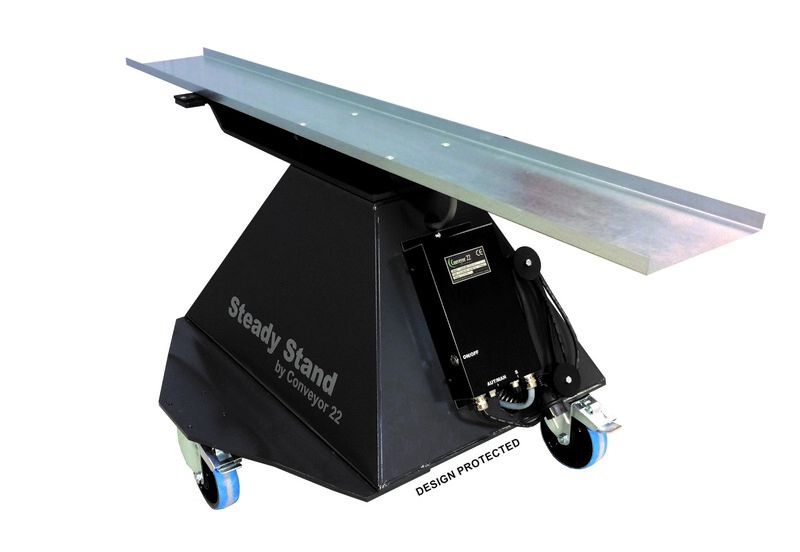 Pneumatic shake conveyors have been using in industries for decades. 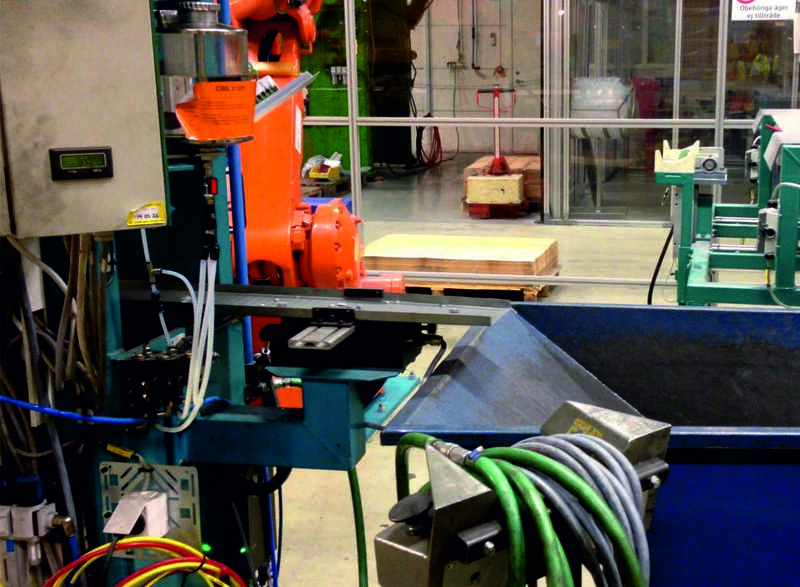 Conveyor 22 uses the latest, state-of-the-art technology. The electric feeders are extremely clean without any form of emissions (e.g. oil mist) and are an excellent replacement for pneumatic transporters. 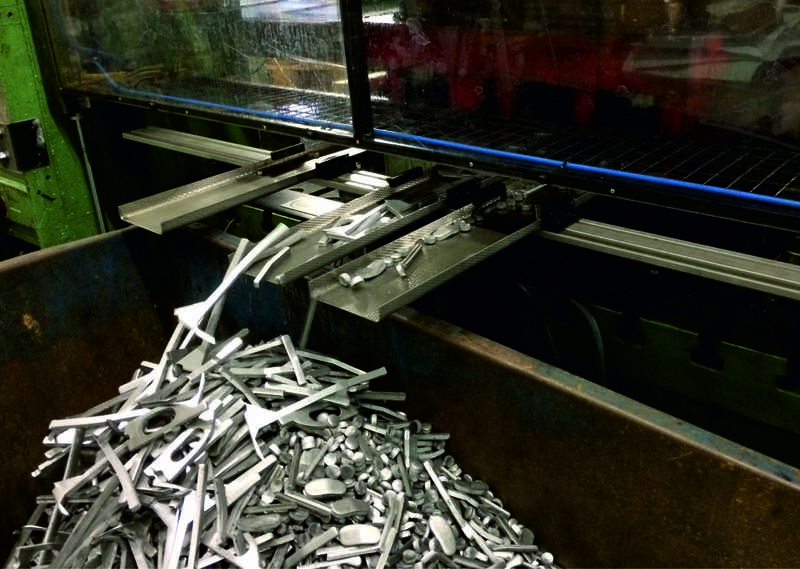 The cleanliness is what makes our electric shaker conveyor unique. 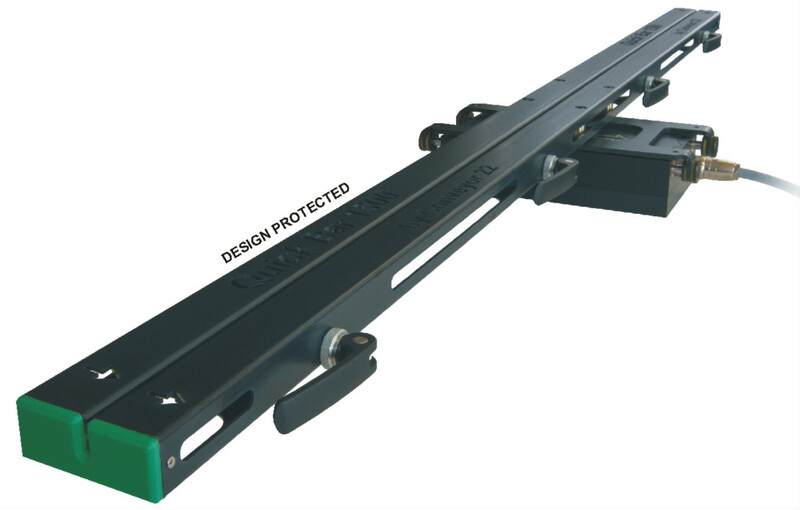 Clean Line 121 (IP66) can be used in many sectors that previously have been restricted to belt or vibratory conveyors. 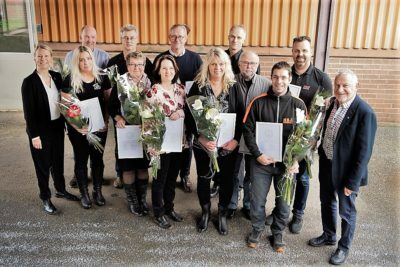 The pharmaceutical and food industries will now be able to easily replace older conveyor systems with a more cost efficient solution. 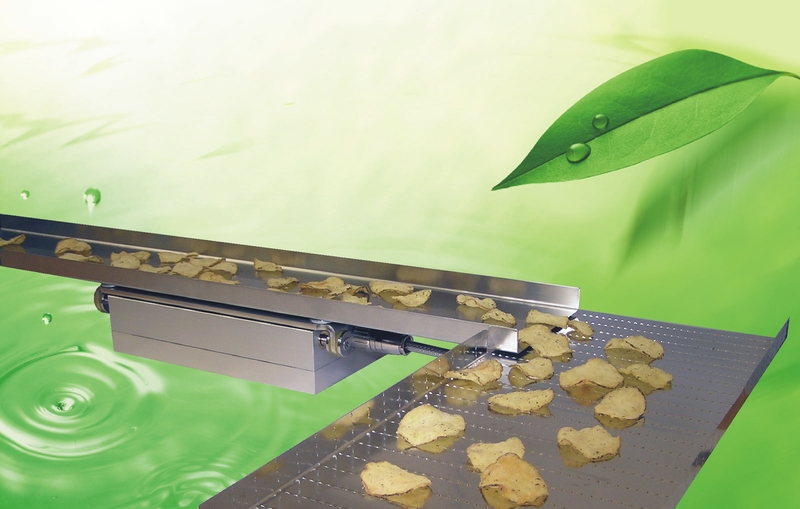 The electric conveyor is designed to be environmentally friendly. 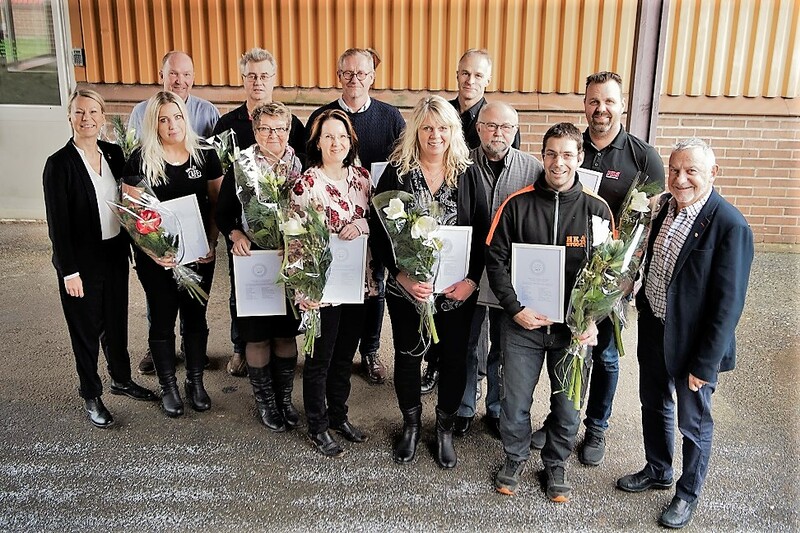 The working environment is considerably enhanced and the transported goods are not affected by airborne emissions. Transporters from Conveyor 22 fully comply with the industry forthcoming environmental requirements – they are an investment for the future. The electric conveyor is very quite, only 60 dB (A). 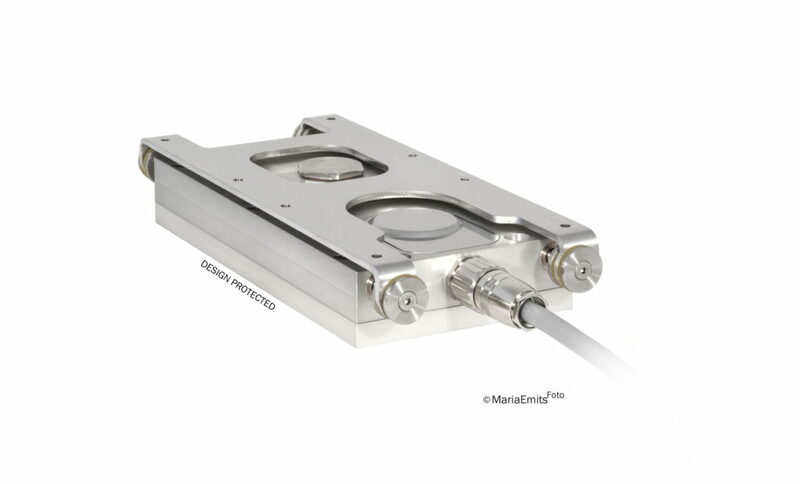 All mechanical parts are self-contained and work in a closed oil bath. The reduced noise enhances the working environment significantly. 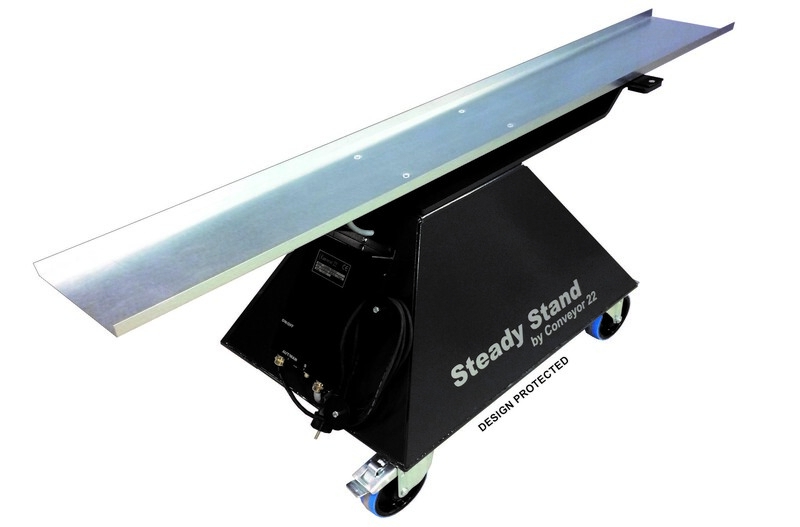 Our electric conveyor is in a class of its own compared to pneumatic and vibratory conveyors. 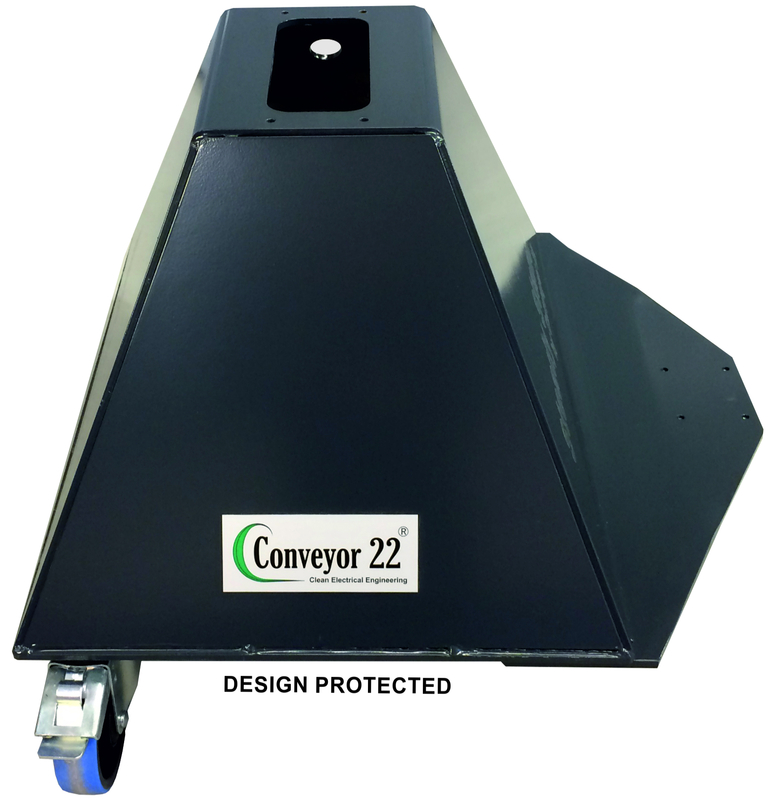 Conveyor 22 designs uniquely compact electric friction feeders. ECS-141 is only 47 mm high, 128 mm wide and 305 mm long which makes it the smallest in the world. 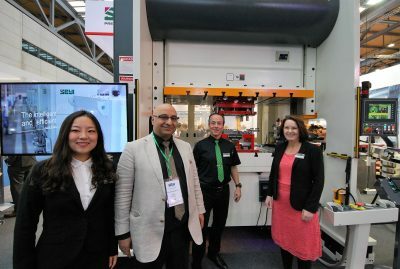 It’s easy to connect with presses and can easily be fitted into machine tools and producing machines. 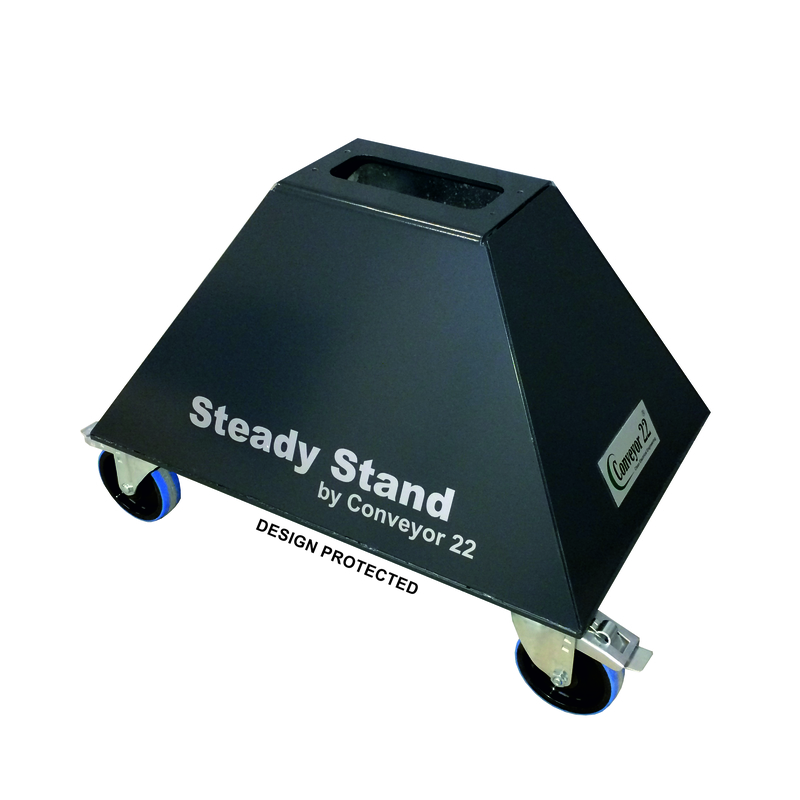 Motor protection and a built-in motion sensor ensure the complete functioning of all Conveyor 22 transporters. Downtime due to malfunction can be very costly. In the event of a malfunction, the transporter immediately sends a warning via the M12 universal contact. This alert can be programmed to halt the whole production line without the need of external sensors, if needed. The built-in ball bearing mechanism can withstand high stress and has a long lifetime. An electromechanical transporter from Conveyor 22 is extremely reliable, which makes it your obvious choice. An electric transporter from Conveyor 22 is a complete product, delivered with control box, manual and fasteners for transporter and tray. 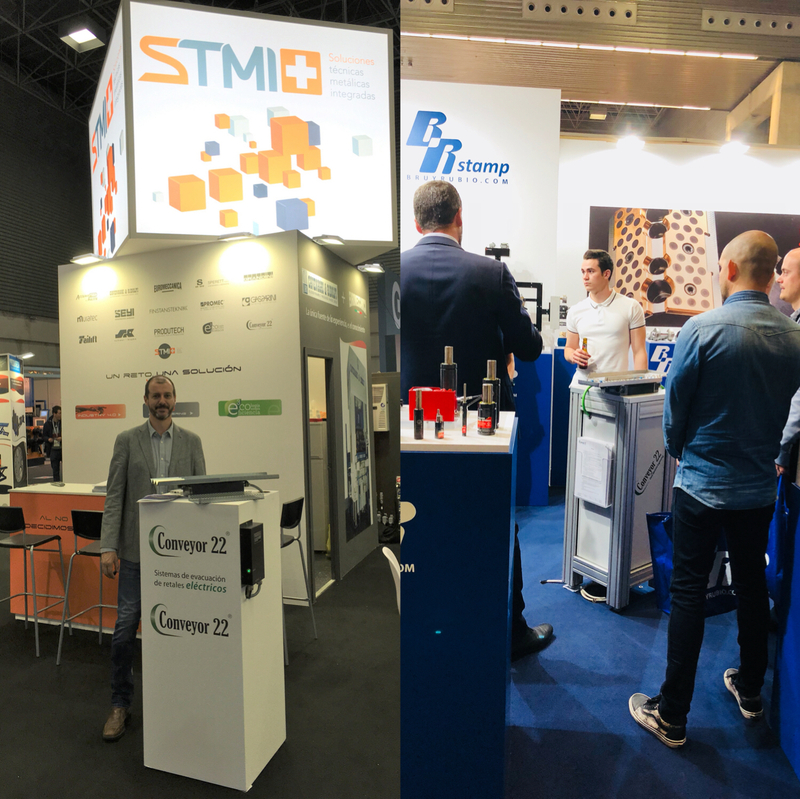 We can provide accessories like a well-designed feeding system with bars, fasteners and slide elements, plus trays made of specially designed structured sheet metal. Trays can be custom ordered in many different materials, including non-stick coating, with lengths and widths adjusted to your specific needs. 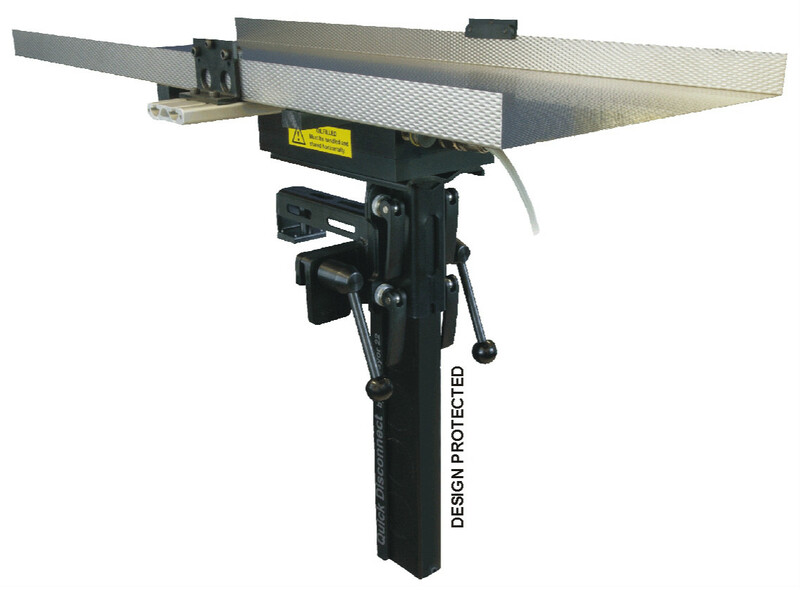 The adjustable bar system also allows you to mount multiple trays on one feeder. We also offer technical support. Due to its electric powering and limited inner friction, the electric transporter from Conveyor 22 consumes only 5% of the energy that a pneumatic transporter uses. The advanced sensor-controlled motor ensures that only the energy required for the actual work load is consumed. 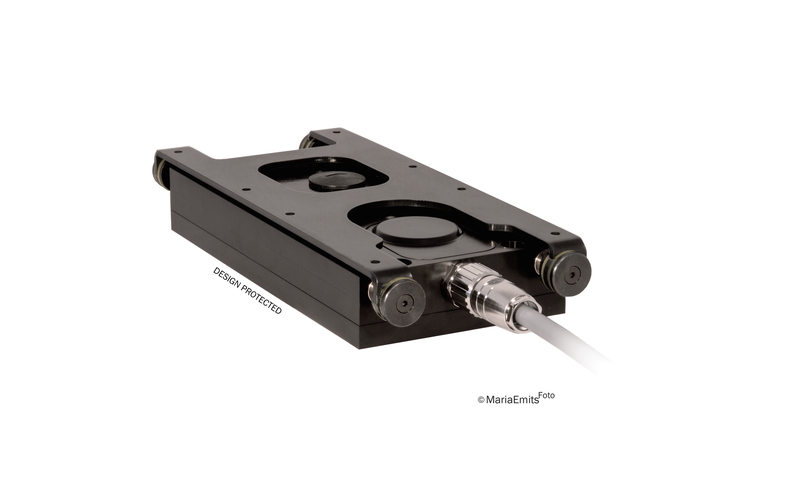 The mechanical continuous speed adjustment allows you to easily adjust the feeder to focus on strength or speed according to the material you want to move. The unique movement of the Conveyor 22 transporters distributes and spreads the material while transporting it. The linear movement is more gently than traditional vibrators. To the extent that the tray can even be made of tempered glass. The unique movement transports lightweight particles and heavier materials at the same speed. The Conveyor 22 transporter is designed for continuous operation and a long maintenance free service life. 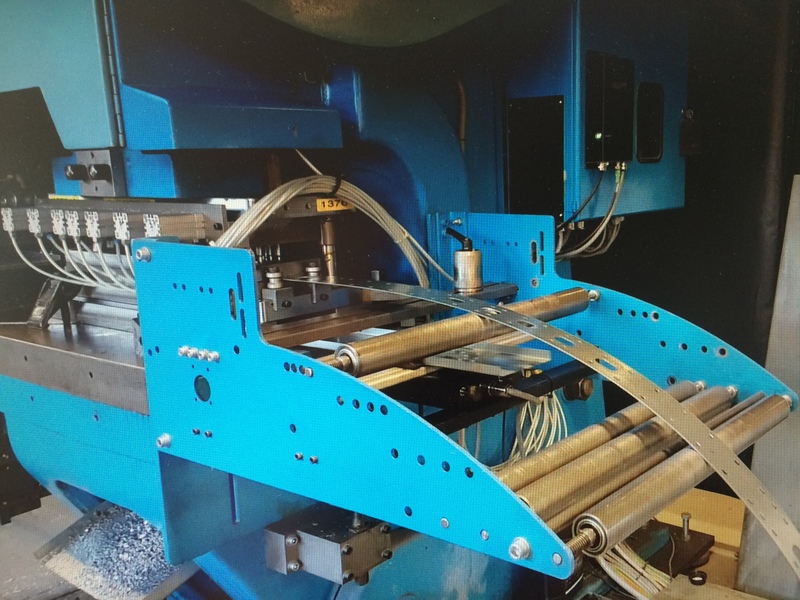 There is only one moving outer part – to be compared with the numerous moving parts in a conveyor belt system! 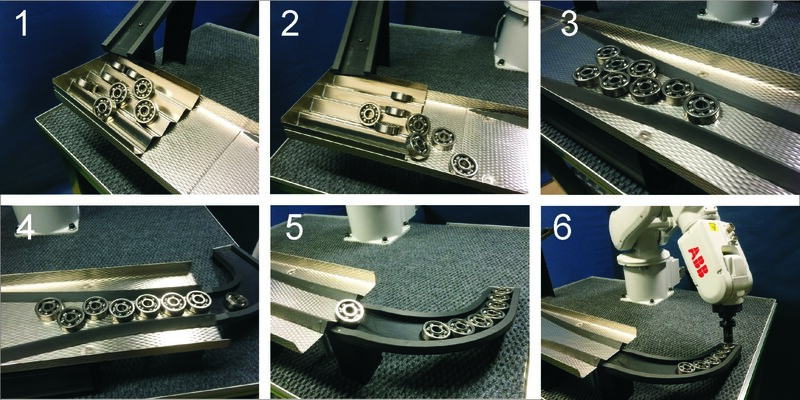 No belt to change, no outer part to lubricate and the metallic tray is easy to clean. Maintenance costs are eliminated. 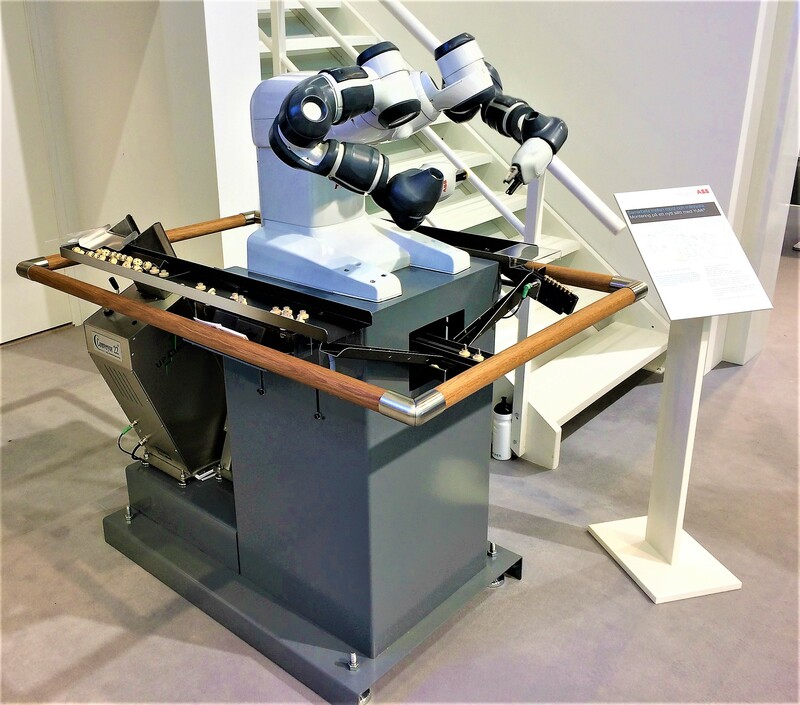 You can download drawings in 3D format on www.conveyor22.se.The transporter can be easily fastened to the machine tools or production equipment using the four clamping bolts. The feeding tray is easily mounted on the feeder with the accompanying fasteners. Connect to the power supply – you ready to go! 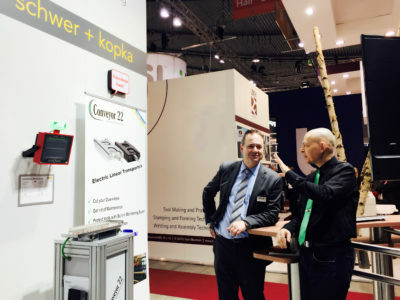 The electric transporter from Conveyor 22 is available in 110-230 V, 50-60 Hz, 1-phase AC, easily connected to a power source. We also provide a 24 VDC version. All conveyors can easily be interfaced to most PLCs or manufacturing machines. 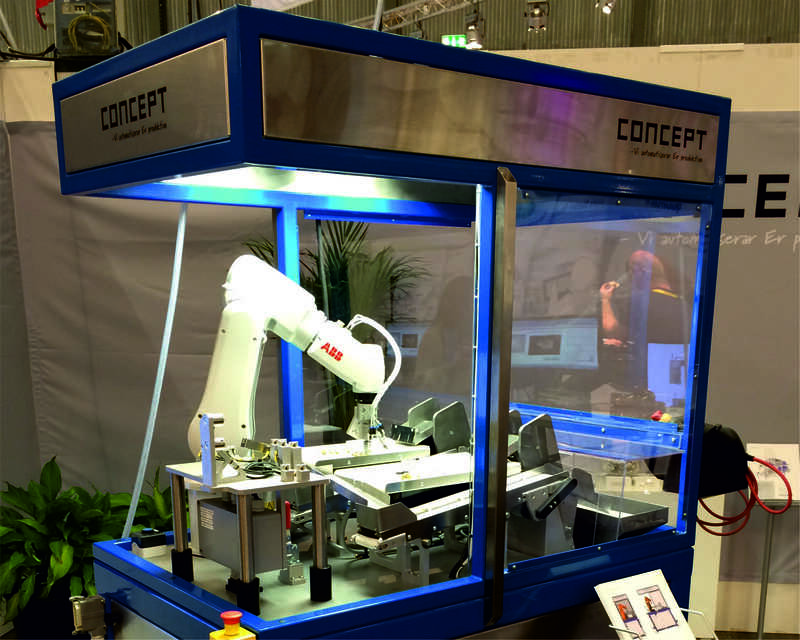 The conveying duration, start and stop, can be programmed. 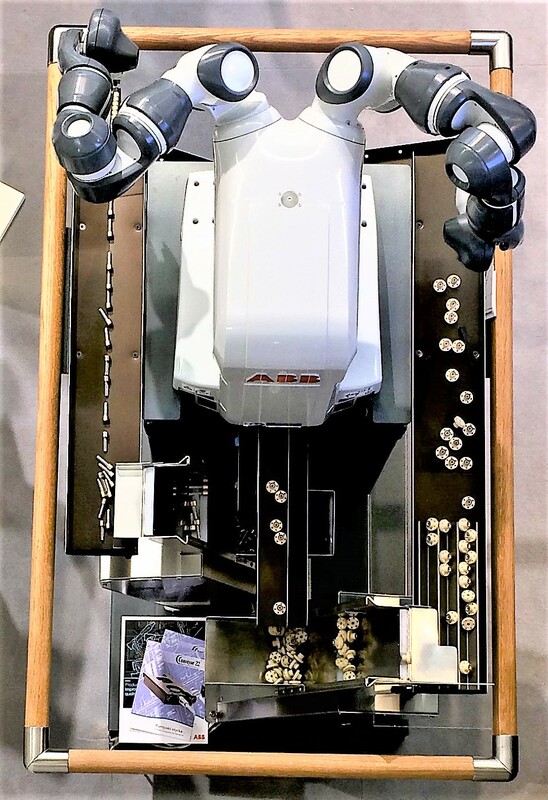 The unique movement spreads the transported material and separates the details, making it easier for pick and place robots. The tray can be manufactured in a transparent material (tempered glass/lexan) for see-through and vision systems, allowing a view of production from beneath the tray.